Hunters are particular when it comes to certain kinds of equipment. They become creatures of habit and are comfortable with a brand or style they like. This is especially true when it comes to optics. It seems that when someone finds a scope they like, then every gun they own is topped with this same scope or a similar one by the same brand. Others of us are at the opposite end of the spectrum. Personally, I do not like changing scopes on a gun except in certain circumstances. I will however, branch out into other brands and styles when putting them on a new gun or when one needs replacing. Currently I have six different brands on top of my rifles. Of these different brands, I also have fixed power scopes at 2x, and 4x respectively. And I have variable power scopes that range in magnification variation from 3x-9x to 6x-18x and one that is from 10x-24x. Then I have 30mm, 40mm, and 50mm scopes. Trijicon Accupoint 3-9×40 rifle scope. We all know that whitetail deer is the most popular game animal in North America, and studies show that most shots on whitetails are inside 50 yards. Still it is nice to have a scope that will reach out when the chance offers itself. So let’s look at some of the things to consider when buying a new scope for your big game rifle. There is an old saying that has stood the test of time and it goes something like this: “Buy the best scope you can afford, and put a gun under it.” What this is saying is that the optics are as important as or even more important than the rifle they are sitting on. Nothing stirs the graves of legends gone by than seeing a $2,000 rifle with a $50 scope on it. Better to have a $2,000 scope and a $50 rifle they would say. Regardless of the quality of the rifle, if you cannot see what you are trying to hit, you will not hit anything. 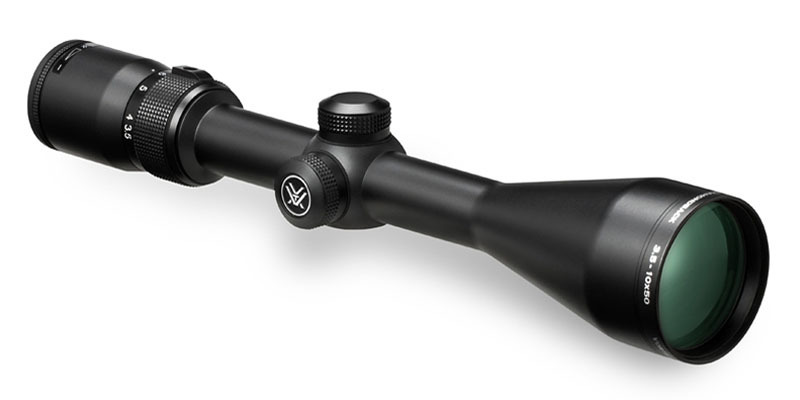 The Vortex Diamondback 3.5-10×50 rifle scope. Now that we know this part of the equation, the first thing to look for in selecting a good scope is good quality glass. While it is still true that the German optics are excellent, that does not necessarily mean they are the only ones to consider. There are many other brands that have excellent glass. Truth be told, most of the quality scopes all have their glass made in the same factories under similar quality standards. What separates the different levels of quality are the proprietary coatings that are applied to the different lenses. These coatings help to reduce glare, enhance brightness, anti-fogging agents are applied and scratch proof coatings are also added. All in different quantities and levels based on the particular manufacturer. Being able to distinguish one quality scope from another inside a store is difficult because the lighting is so poor. At a trade show a scope representative once told me to look at the darkest part of the room and that will help to see how clear a sight picture you will have in the field. If you can see the cross hairs clearly looking at a black or very dark corner, it will help when in the field. The next thing to consider is magnification. If hunting in the thick woods of the southeast or northeast a fixed power scope will usually do everything you need. Begin with a 4x for good all-around handling in tight quarters and at distances out to around one hundred yards. Anything longer than this and a variable magnification is best. The 3x-9x is the standard most companies will offer and it is a good choice under most circumstances. Except for extreme ranges out to and beyond 250 yards the 9x will help to aim small. But if you are expecting long range hunting as is common in the plains or west, a stronger magnification will suit your needs a bit better. 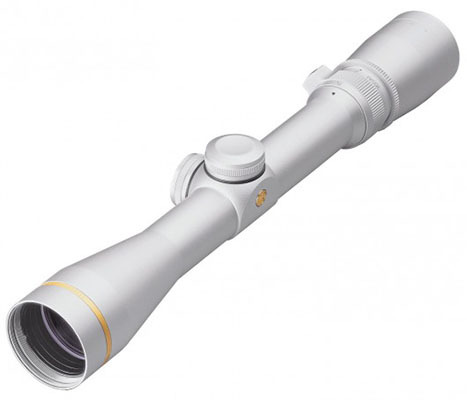 Leupold VX3 2.5-8×36 rifle scope. When hunting in the west, where longer ranges are the norm I personally opt for a 6x-24x variable as my “go-to” scope. For other long range shooting, one with an adjustable torrent is probably best. Few are as good as those offered by Trijicon. Other brands to consider with adjustable torrents are Vortex, Leupold and Nikon. One reality is that price does impact this decision. With some scopes costing several thousand dollars, many hunters simply cannot afford these high end scopes. But there are still some high quality scopes for the budget minded. It begins with Nikon, Leupold and Vortex all have many models that are introductory level pricing all the way to elite level pricing. These brands have models that begin at $199 and go up from there to over a thousand. But you will definitely notice a difference in the clarity between the two hundred dollar scope and the thousand dollar scope. Actually there is a big difference between a two hundred dollar and a five hundred dollar scope. But when it comes to this level of scope, the difference is in the details. It is difficult to compare apples and apples in the world of optics. Each company has so many different options and nuance’s in their offerings, comparing them is difficult. To do this, we will look at some other options that will narrow down your choices. 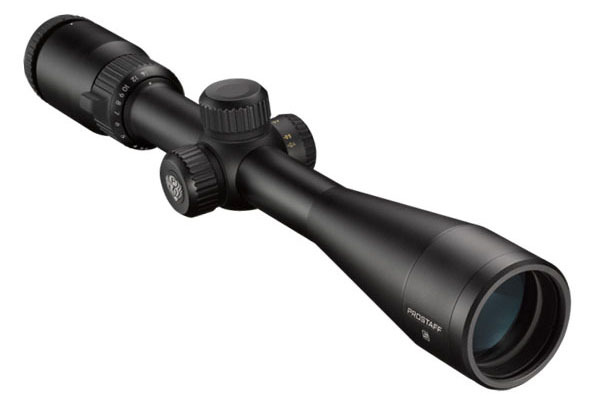 Nikon ProStaff 5 3.5-14×40 rifle scope. If you will be hunting late in the evening, light gathering capabilities is premium and a necessity. To get the most light increase your objective. Ever since the 50 mm scopes have arrived they have a huge following. The difference between a 40mm and a 50mm is more than can be stated here. It must be seen to be believed. Suffice it to say, you will be shocked at the difference. I have calculated that the 50mm gives me from four to six extra minutes of hunting in the evenings, and from 10-12 minutes in the early morning. These few minutes can be the best hunting of the day, so every minute is vital. Next is the types of aiming points. From crosshair shapes to built in aiming points for different distances to illumination for the low light moments. It really is a matter of preference at this point. In conclusion selecting a good quality scope for your rifle is an important part of your hunting package. Getting the best you can afford and one that meets your needs as a hunter is the goal. Following some of these suggestions should help. If you still find yourself in a quandary, your local gun shop should be able to let you look through several and perhaps even try some under different light conditions. Test the magnification for your needs and the parallax for your preference. The bottom line is that you will never go wrong with investing in quality when it comes to good optics.